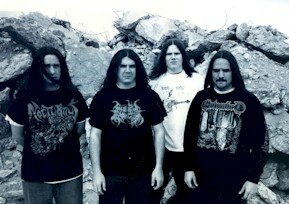 Death Metal band formed around 1991 in Va Beach, VA. 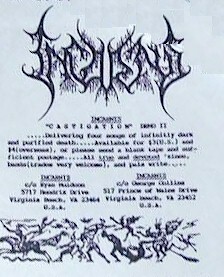 They released several demos prior to 2000. Xeroxed b/w and red covers. Regular tapes. Live show recorded in Norfolk, VA. Regular tapes. Heavy paper covers.